Below is information about Charlotte-area golf and social clubs. Please consult with membership directors at individual Country Clubs as information is subject to change – and some clubs run temporary specials which may reduce initiation fees. To determine which club is nearest your desired location, click here for a map of Charlotte area golf and social clubs (Google maps). Can’t reach a membership consultant or have any questions? Please reach out to us – we’re happy to help! Information updated November, 2018. Please check with membership directors for the latest information. Club may offer trial membership for full golf membership. See membership coordinator for details of all memberships and updated information. Initial Membership Fees: Resident Membership: $75,000. Social Membership: $40,000. Monthly Dues: Resident Membership Dues: $645. Social Membership Dues: $470. Dining Fee: Monthly level service fees apply. Both resident memberships and social memberships: $40 per month. Membership applications and a list of Dues/Fees are only available through current Members, as all applications must be sponsored by a Member. Initial Membership Fees: Golf: $65,000; Social: $25,000; Refundable memberships and corporate memberships also available. Please note that initiation fees may increase in 2019. Ask about special promotions which may reduce initiation fees. Annual Fee: Fees paid annually. Many memberships available. Memberships range from $1,400 for swim/fitness to $5,250 for family. Corporate memberships also available. Quarterly Dining Fee: No dining fee; no minimum spending requirements. Who can join? Member referral only. Initial Membership Fees: Golf: $6,000; Tennis & Social: $3,500. Monthly Fee: Golf: $450; Tennis & Social: $205. Quarterly Dining Fee: $200 per quarter. Junior Golf, Junior Tennis & Social, Corporate Golf, and Family Golf memberships are also available. Please inquire with membership department. Initial Membership Fees: Full Golf: $25,000; Tennis: $6,500; Clubhouse: $3,500. Monthly Fee: Full Golf: $562; Tennis: $331; Clubhouse: $253. Quarterly Dining Fee: $50 food and beverage minimum for all memberships. Unlimited Range Balls: A $70 quarterly fee applies to full golf membership for unlimited range balls. Initiation fees are subject to periodic increases. Initial Membership Fees: Full Golf: $15,000 (refundable) or $6,000 (non-refundable); Social: $7,500 (refundable) $2,500 (non-refundable). Young Executive Membership also available. Monthly Fee: Full Golf: $442.48; Social: $194.89. Other membership types available. Young Executive Membership also available. Please ask about potential credits during membership drives. Property owners at the Village of Raintree are not required to pay an initiation fee. Initial Membership Fees: Full Golf: $10,000; Sports: $4,000; Swim/Fitness: $2,500; Clubhouse & Social: $250. Other membership types available. Monthly Fee: Full golf: $595; Sports: $322; Swim/Fitness: $225; Clubhouse: $90. Other membership types available. Initial Membership Fees: Golf: $8,000; Tennis: $1,000; Social: $500. Initiation fees non-transferable. Other membership levels available. Initial Membership Fees: Golf: $60,000; Junior Golf: $30,000; Sports Limited Members: $40,000; Sports: $17,000; Health & Fitness: $7,500; Social (non-property owners): $4,000. Other levels of memberships available. 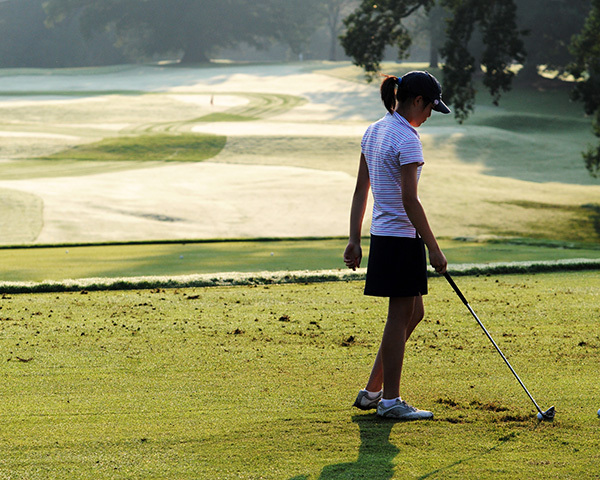 Monthly Fee: Golf: $695; Junior Golf: $345; Sports Limited: $545; Sports: $395; Health & Fitness: $335; Social: $225. Dining Fee: $45/month for dining service fee with $150 food minimum per quarter. Please note that additional golf guest, golf cart, and social guest fees may apply. Corporate memberships are also available.